The pilot project (Award # 1649092 ) was led by the Center for the Integration of Research, Teaching, and Learning (CIRTL) and our primary goal was to work within our region to explore a collaborative impact model across our regional 2-year community colleges and 4-year institutions to better prepare future faculty for careers in community colleges, where we know many students from underrepresented groups have their first STEM experiences. The preparation of faculty in effective teaching practices is a major means of improving the quality of undergraduate STEM education. Most studies and initiatives concentrate on four-year institutions, despite the transformative role community colleges (CCs) can play. We conducted a study of more than 3,000 CC STEM faculty members from 11 institutions as part of the CIRTL INCLUDES pilot to learn about their educational and career pathways, where they earned their degrees and worked prior to beginning their first community college positions, participation in teaching development, and interest in two-year faculty careers. 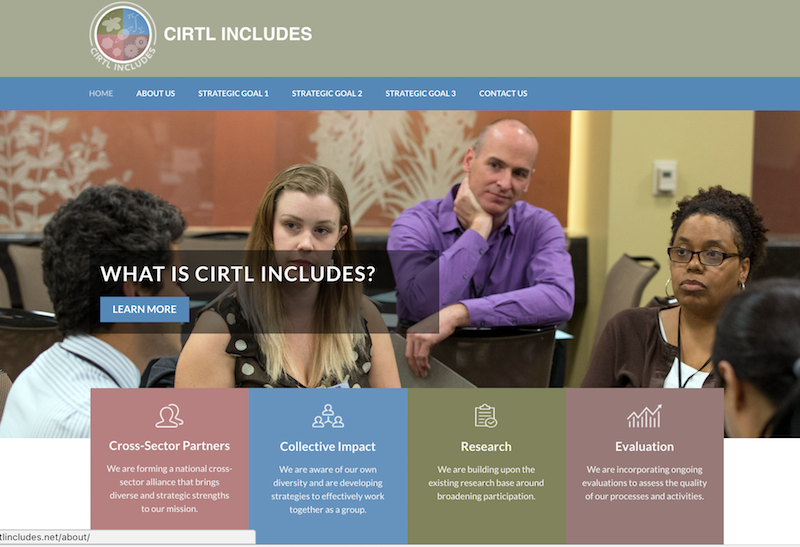 Visit CIRTLINCLUDES.net for a detailed overview of the CIRTL INCLUDES Design and Development Launch Pilot.